50. אָמַר לוֹ הַמְּנוֹרָה הַקְּדוֹשָׁה, מִי גָרַם שֶׁלֹּא יַעֲשֶׂה אֶת צִוּוּיוֹ, הוֹאִיל וּבְנוֹ הוּא? אָמַר הָרוֹעֶה הַנֶּאֱמָן, וַדַּאי תַּעֲרֹבֶת שֶׁל רַע, וְסוֹד זֶה גָּרַם לְיִשְׂרָאֵל לַחֲטֹא לַאֲבִיהֶם שֶׁבַּשָּׁמַיִם. וְסוֹד זֶה – (תהלים קו) וַיִּתְעָרְבוּ בַגּוֹיִם. וְזֶה גָרַם הֶרֶג לְיִשְׂרָאֵל, וְהֶחֱרִיב אֶת בֵּית הַמִּקְדָּשׁ. וּמִשּׁוּם זֶה אֵין מְקַבְּלִים גֵּרִים לִימוֹת הַמָּשִׁיחַ, אֶלָּא – (דברים לב) ה’ בָּדָד יַנְחֶנּוּ וְאֵין עִמּוֹ אֵל נֵכָר. 51. שֶׁיִּשְׂרָאֵל הֵם מֵעֵץ הַחַיִּים, עֶבֶד טוֹב וְעֶבֶד רַע. מִצַּד שֶׁל מְטַטְרוֹ”ן עֶבֶד טוֹב, עֶבֶד נֶאֱמָן לְרַבּוֹ. עֶבֶד רַע – סָמָאֵ”ל. מִי שֶׁהוּא מֵעֵץ הַחַיִּים, הוּא בֶּן הָעוֹלָם הַבָּא, בֵּן מִצַּד שֶׁל בֶּן יָ”הּ, בִּינָה. וְיוֹרֵשׁ אֶת הַמַּלְכוּת שֶׁהִיא ה’. וְאֵיךְ יוֹרֵשׁ אוֹתָהּ? אִם עוֹשֶׂה אֶת הַצִּוּוּי שֶׁל אַבָּא וְאִמָּא, מִשּׁוּם שֶׁהִיא מַלְכוּת מִצְוַת הַמֶּלֶךְ, וְעָלָיו נֶאֱמַר (אסתר ג) מַדּוּעַ אַתָּה עוֹבֵר אֵת מִצְוַת הַמֶּלֶךְ. הִיא מִצְוָה, וְצִוּוּיוֹ שֶׁל הַמֶּלֶךְ עַל עֲשֵׂה וְלֹא תַעֲשֶׂה. Rabbi Shimon and the ‘Faithfull Shepherd’, who is Moses, discuss the influence of mixed multitude type of people that joined the Israelites and cause them disconnection from YHVH, doing many sins. The influence was so negative that it brought the destruction of the Holy Temples. These mix multitude or Erev Rav are many and come to the Israelites to take from the Light of the Torah without following its laws. There are those who were born in ‘exile’, meaning far from the roots of their souls and with true faith in their hearts they love the Torah and Zohar and wish to convert and follow the ways of God as in the Torah. Converts were not accepted also during the times of King David and King Solomon. At the time of King David, the people had the Holy Tabernacle and during King Solomon’s time they had the Holy Temple. The people saw visible miracles during the services of the priests and Levites. The aspect of faith was not existing so there was nothing to convert. When a person wishes to convert he transforms and expands his vessel from a low spiritual belief system to the true system of the Tree of Life and YHVH. The conversion process requires strong faith and work to earn the additional level of soul a convert receives at his conversion. At the time of Mashiach people from all nations would like to convert because they will see God with their eyes would like to come closer to the force that governs and control the entire existence. To receive the full benefits from connection to the Tree of Life, one should transform his heart to have complete faith and certainty in YHVH and the Torah. Many come to the study of Kabbalah following empty promises ‘buying’ their way into the group/community, expecting personal rewards for holding the Zohar or participating in classes. In the portion of Kedoshim, God gives us many instructions on how to become holy and close to him. I read that one kabbalah student links Kabbalah to Jesus and Christianity. While Jesus may have brought some great moral teaching, he couldn’t be more than a great teacher and or an ex-rabbi. He was not a Kabbalist because he never talked about, wrote about or taught about Kabbalah and Tree of Life. Those who have faith in Jesus and conduct their lives with high moral may have a portion in the world to come. Mixing the two faiths is dangerous because a person who accepts mixed faith have no certainty in his ways. The faith in YHVH is true only with certainty. We should study and pray until we reach the level of certainty and see God all around us. Giving your money to places that combine Kabbalah and other system is wrong and they are not Kosher to receive your tithe. It’s a terrible waste of your energy that doesn’t benefit you. Kabbalah is a pure system and if you have doubts on how to connect to the Light using the Kabbalah ways then studies the great Kabbalists of the past, not the ‘modern’ teachers. Some of them could be nice people but the knowledge that they are ‘selling’ is flawed. Ask your Rabbis and teachers to support their teaching with Zohar references and or references from other righteous Kabbalists. 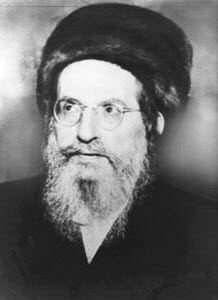 Do not accept “Rabbi Shimon said …” or “My teacher Rav…. Said so”. It may sound reliable but not always true. Ask for references that you can validate. The spiritual energy in our times is very difficult and confusing and it’s very hard to connect. Stay close to the originals and don’t fall prey to those who’d sell you what you want to hear for money. It’s a sin and waste of your hard earned energy! I’m sorry to be harsh but I can do it because I don’t have classrooms with agenda to draw you into my community. The access to the Daily Zohar is free and people can subscribe and unsubscribe automatically. I answer every one (sooner or later for lack of time) without checking if they make donations. I don’t have organization or system to collect money. My goals is to share true Zohar studies to elevate you spiritually and empower you to follow the righteous path to achieve immortality, in this life or at the time of the Resurrection. Be holy. Study the Torah portion and Zohar of Kedoshim because if you understand and follow this teaching, you would save your soul and achieve the holiness that God wants you to be and earn your immortality.